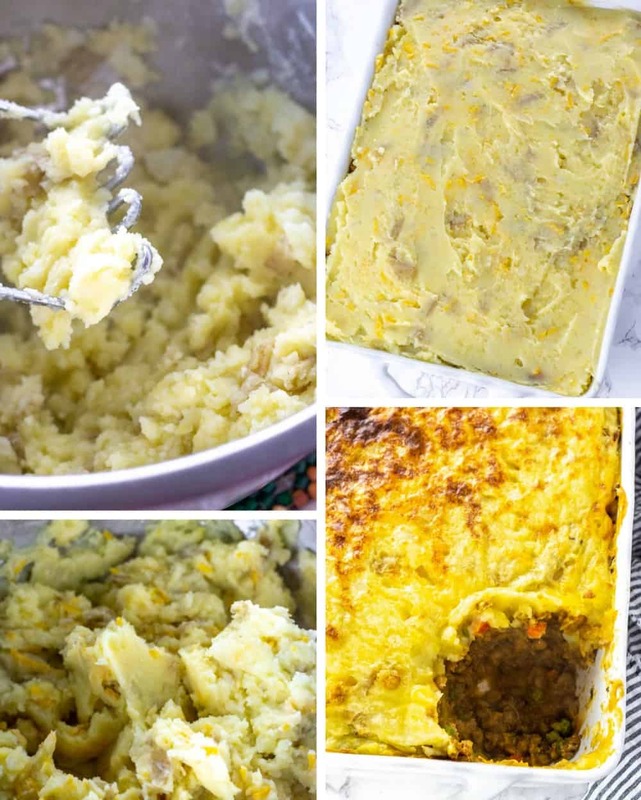 Seriously flavorful Lentil Shepherd's Pie, seasoned lentils cooked with carrot and peas in a delicious sauce and topped with creamy and fluffy garlic mashed potatoes. Perfect for Thanksgiving! 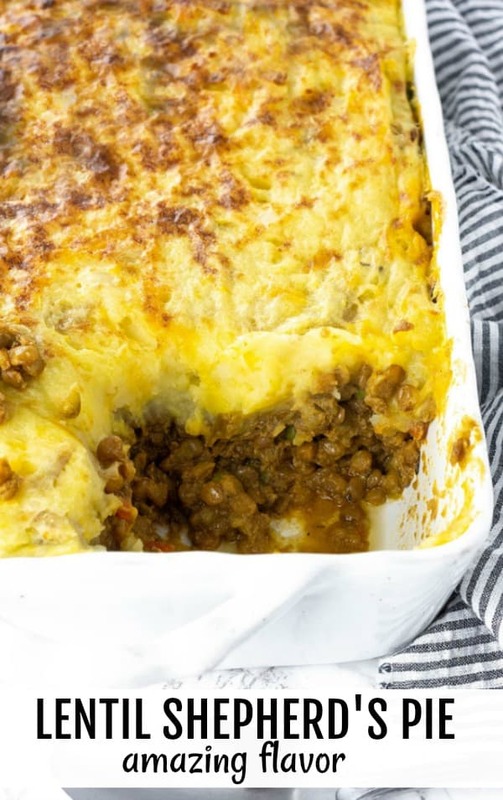 After sharing my amazing Chickpea Shepherd's Pie, I decided to share another amazing Shepherd's pie made with lentils. 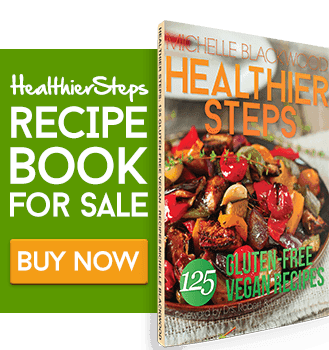 Lentils are earth and healthy and the perfect legumes for a vegan shepherd's pie. 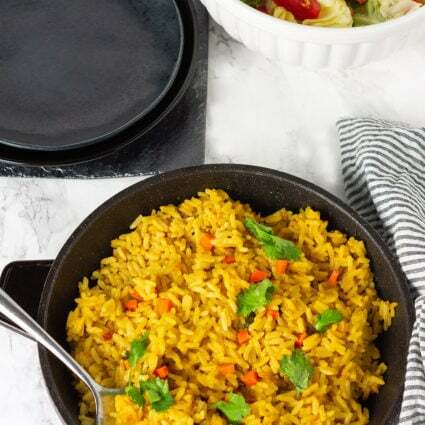 As we approach the colder months, comfort dishes like Vegan Mac And Cheese, and Broccoli Rice Casserole and are on my mind. I enjoyed traditional Shepherd's pie when I lived in England, I cooked it with ground beef and spices. Now I substituted the ground beef with lentils and vegetables and must say my spice blend makes the most delicious Shepherd's Pie recipe. Spermidine leads to better heart function and longer life, it is found in higher concentration in the blood of centenarians. 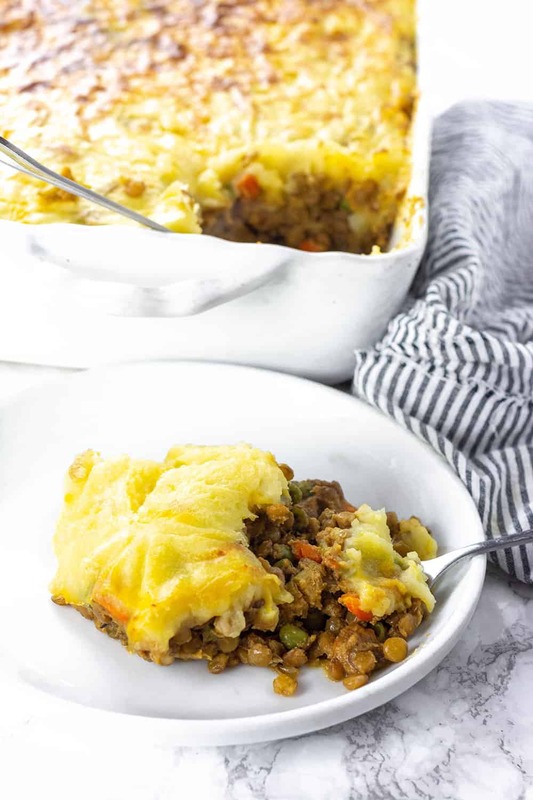 My easy shepherd's pie recipe with lentils has a lot of lentils in it with lots of veggies. 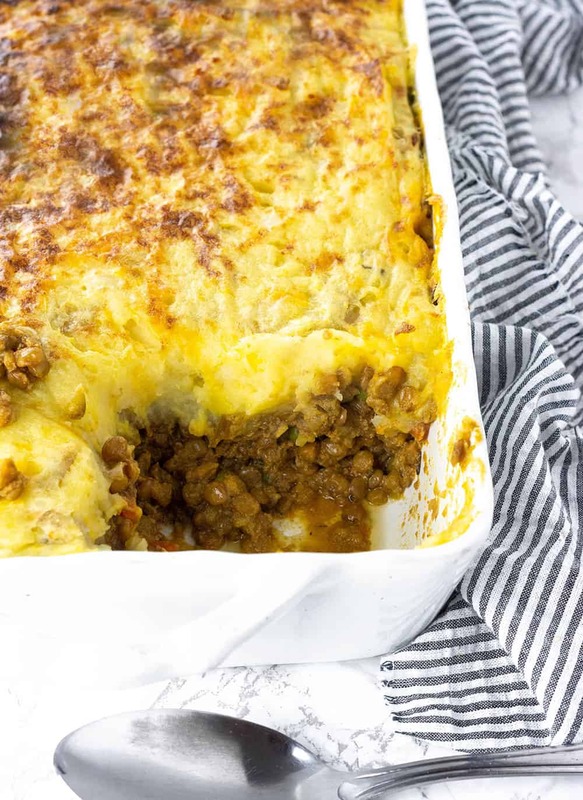 This is definitely the best shepherd's pie, it is so easy to prepare, filling, hearty, comforting, protein-packed, loaded with vegetables and easy to prepare. Cooked potatoes in a pot of water. 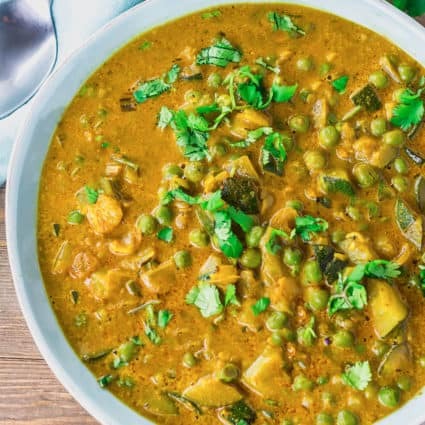 While potatoes are cooking, sort lentils and wash. Cook lentils with herbs, spices veggies, except peas and veggie broth until tender. Mash cooked potatoes with non-dairy milk, butter, and salt. Stir in vegan cheese shreds. When lentils are finished cooking stir in the green peas. Scoop seasoned lentils into a prepared casserole dish, top with mashed potatoes and bake for 15 minutes, then broil on high until top is golden. 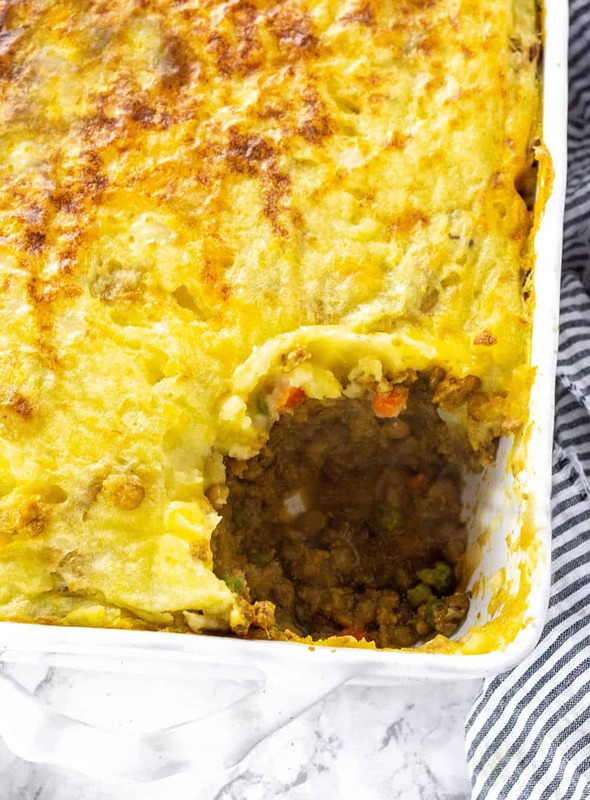 This is an amazing vegetarian shepherd's pie recipe. Sort and wash lentils and set aside, heat a large pot with oil. Add onions and cook until soft. Add garlic and cook until fragrant. Preheat oven 400 degrees. Stir in celery, carrots, thyme, rosemary, parsley, smoked paprika, cayenne pepper, tomato paste, Bragg's liquid aminos, lentils, vegetable broth. Bring to a boil, cover pot and reduce to simmer until lentil is tender about 25 minutes. Stir in frozen peas. Prepare mashed potatoes while lentils are cooking, stir in vegan shredded cheese. Scoop lentils in a lightly greased 9x13 casserole dish. Top with mashed potatoes. Bake for 15 minutes, broil on high for 3 minutes or until top is brown. 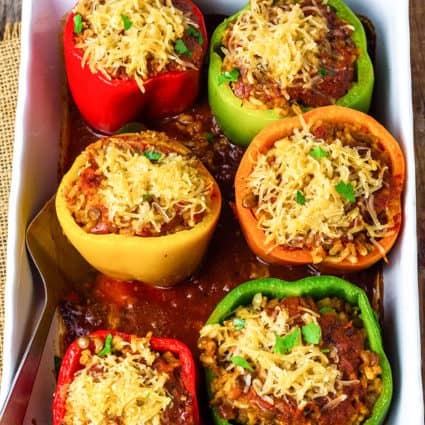 Made this recipe yesterday and it was ahhmazing! I’m so happy you loved it. Thank you for sharing your feedback. This is the best shepherd’s pie we have ever made. It is just like the traditional British recipe only better cos it’s vegan. We made it with plain mashed potatoes and it was still delicious. My picky 8 year old gave it 2 thumbs up! ?? We will be making this again. Thanks for a great recipe. 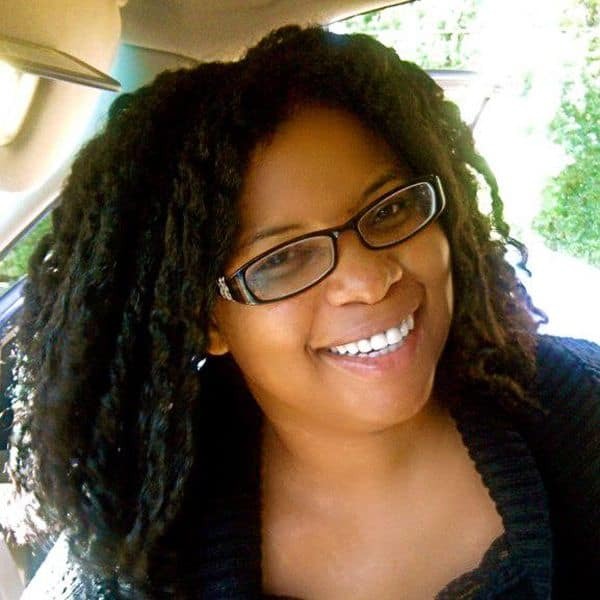 Awesome Noola, so happy for your feedback. I’m so happy you enjoyed it, especially your 8-year-old.